Growing spending on high-class interiors and fashion, has expanded the requirement for textiles, creating need for textile surfactants. As there are numerous players in the textile sector, the textile surfactants marketplace continues to be highly competitive. Technical textile broadly incorporate geotextiles, medicinal applications, and agro-materials. Increasing demand from these sectors is likely to invigorate the development of textiles. Technical textiles are additionally utilized in ecological protection applications and such environmental useful undertakings are anticipated to drive eco-tech textiles, which will keep the need for surfactants growing. The foremost constraint, which might impede the requirement for utilization of textile surfactants, is government regulations for usage of eco-friendly products. Disposition of manufactured surfactants into rivers and lakes leave an adverse ecological effect, which confines the development of synthetic textile surfactants market. This has raised the requirement for bio-based textile surfactants that would bring prospects for market development. In terms of the types, the worldwide market for textile surfactants is segmented into amphoteric/zwitterionic, non-ionic, cationic and anionic. In terms of the textile applications, the worldwide market for textile surfactants is segmented into furnishings, apparels, technical textile (includes automotive, agro-textiles, medical, eco-tech, geo-textiles and other), industrial textiles and household textiles. With developing economies and expanding populace of emerging nations of the Asia Pacific and constant need for fresh trends in the textile segment, this regional market drives the textile manufacturing market, as a result of which there is an extreme need for surfactants in the textile industry. Likewise, China and India lie among foremost exporters of textiles, so producers in this region are likely to foresee a remarkable increase in requirement for surfactants. North America and Western Europe have an expansive base of foremost players in surfactants production. The surfactant market is sluggish in this region. The European Commission promotes the policies which are gainful for the environment, inferable from which surfactants made from sustainable raw materials is anticipated to discover vast market in this region. Japan Textile Federation is meaning to push advancement in Japan textile ventures that are likewise anticipated to support the requirement for surfactants in this region amid the figured time frame. 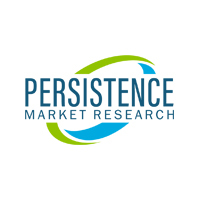 A few of the foremost market participants in the worldwide surfactants market include Air Products and Chemicals, BASF S.E., AkzoNobel Surface Chemistry, Dow Chemical Company, Clariant Chemicals Company, Organic Dyes and Pigments, Henkel Ag & Co KGaA, Huntsman Corporation, and Stepan company.